REFERENDUM COSTITUZIONALE DEL 04.12.2016.- ORARIO DI APERTURA UFFICI PER RILASCIO TESSERE ELETTORALI. REFERENDUM COSTITUZIONALE DEL 04.12.2016.-AGEVOLAZIONE VIAGGI. 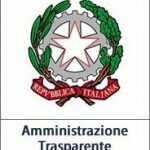 AVVISO PER RILASCIO CERTIFICAZIONI AD ELETTORI FISICAMENTE IMPEDITI. REFERENDUM DEL 04.12.2016. AVVISO PER ISCRIZIONE NELL'ALBO UNICO DEGLI SCUTATORI DI SEGGIO ELETTORALE. MANIFESTO DI CONVOCAZIONE COMIZI ELETTORALE PER REFERENDUM COSTITUZIONALE DEL 04.12.2016.